In addition to all the other hardware-related news today, Amazon is also rolling out its multi-room audio feature to third-party hardware. Called Alexa Multi-Room Music, the expanded support for other Alexa-powered devices will allow you to group third-party speakers, including offerings from companies like Bose and Sonos, together with Amazon's Echo hardware for synchronized playback. This feature was previously only available on Amazon's first-party hardware, but Amazon has decided to open things up to third-party products. The technical details are discussed in a pair of announcements on Amazon's developer blog, but it shouldn't be too difficult for OEMs to integrate into their hardware. That means plenty of new products will be able to be grouped together for Alexa-powered audio. Those groups can be overlapping so that a single Echo or third-party speaker can be assigned to several different collective labels. A preferred speaker can be set for even faster and more convenient commands with Alexa. Amazon is also introducing left/right stereo paring for more dynamic audio — especially when paired with the new Echo Sub. Other music-related Alexa additions include support for Tidal on Echo devices via the Music Skill API announced today, and the ability to follow individual artists, with notifications on subsequent releases. 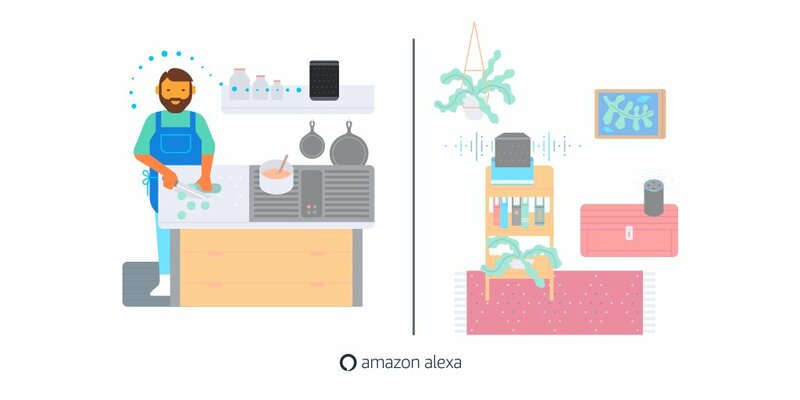 According to today's reverse-chronological hardware blog post, Amazon plans on making Alexa Multi-Room Music available to other manufacturers "this fall." There's word just yet which devices will or won't get the feature, though, as that's probably up to individual OEMs to implement it.